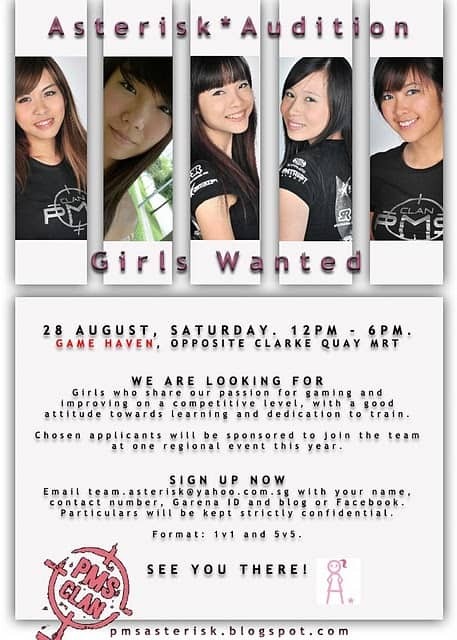 Are you a girl with a passion for gaming? Do you like the idea of being a cyberwellness ambassador and role model to other gamers out there? Or maybe you simply want to see the local esports scene improve. Look no further: PMS Asterisk is looking for new additions to their team! More programme details will be revealed when you register. The auditions will be at Game Haven this Saturday, 28th August at 12 noon.